Season 2 was considerably watered down from season one, and although there were plenty of exciting moments it was hard to get into. About half the cast of season 1 inexplicably disappeared, and while I enjoyed some of the new characters, particularly Lena Luthor, it seemed like there was too much going on, that the story wasn’t really about Supergirl anymore. The story arcs did not mesh together very well. A lot of the plot revolved around on-again/off-again relationship drama. Also they made James Olsen a vigilante, the Guardian. I didn’t really like that except for in one of the episodes closer to the end of the season where he gets to be a hero for an alien boy. The conflicts mostly involved fugitive aliens and either protecting or apprehending them. There was a Flash crossover but it was kind of lame and it kind of served to prop the love interests in both shows. Livewire came back for one episode and she was awesome. I liked Kara’s relationship with Mon-el, and I’m sad about how that ended…for now. But I think one thing to keep in mind about entertainment in general is that, when it comes to what happens next to your favorite characters, don’t expect more of the same. Writers have to keep changing the story, raising the stakes, and creating conflict to keep their usual audience engaged. This is one of those blog posts I’ve been planning on for a while that kept getting pushed back. But I figured I’d better write down this important post about my homegirl from the DC Universe before I get around to other topics (*ahem*, Marvel and Star Wars). Something I found while watching Season 1 of Supergirl, and occasionally reinforced during season 2, was the fact that the individual we know as Supergirl has to balance multiple identities. We’re pretty familiar with her alter-ego, CatCo reporter Kara Danvers who wears cute clothes, has an awesome sister and loves food. Supergirl, on the other hand, is known for the cape and the skirt and the S-logo, the superpowers, fighting bad guys, and saving the day. But sometimes in the show we get a glimpse of a third face: Kara Zor-el, the girl from Krypton, an alien refugee who lost everything–her culture, her home, her family–when her planet was destroyed. We see it when she talks to the holograms of her parents at the Fortress of Solitude and the DEO. We see in the flashbacks to Alex Danvers’ newly-adopted sister struggling to find her place on a new planet, struggling to adapt to having superpowers. We see it in the face of a Supergirl forced to confront the truths about Krypton’s end and her family’s legacy. A few people on the show—Lucy Lane, Winn, J’onn Jonzz, James, Cat Grant, and as of Season 2 Maggie Sawyer and Lena Luthor—have the privilege of knowing both Kara Danvers and Supergirl, and maybe more or less knowing that the two are the same. But very few people have seen the part of herself that Kara brought with her from Krypton—although it’s safe to say that Alex Danvers might be more aware of it than some. One thing I liked about Season 2 bringing in Superman for the first two episodes and the finale was that Kara had someone she could be open with about her Kryptonian side. Kal-el had discovered his true identity and studied his lost culture secondhand at the Fortress of Solitude. But that had happened in Clark Kent’s adulthood. Kara Zor-el left Krypton as a teenager and got stuck in the Phantom Zone until Kal-el was a grown man. She is old enough to remember her family and her culture. She has an awareness of that lost identity that Kal-el can’t come close to, at least in this version of the DCEU. If Superman comes back at all in Season 3, I want to see this developed. (And for the record, I am googlie-eyes for over Tyler Hochelin’s Superman/Clark Kent). Kara also has to come to grips with her Kryptonian past a little when she makes the acquaintance of Mon-el of Daxam, a rival planet of Krypton–in other words, having to confront a cultural prejudice she inherited from her planet against his. But, and this was one of the reasons I liked her relationship with Mon-el, she brings out the best in him, and she shows him that it’s not too late for him (or his world) to make a new start. As far as Kara knows, the best way for someone from another planet to blend in is to take on a human identity, join the workforce, and then blend in as much as possible. In the beginning, she tries to make Mon-el fit into the same mold. His misbehavior at CatCo quickly gets him fired. He does okay as a barkeeper at the secret alien bar in National City. But for most of his run in season 2, Mon-el is just Mon-el. He doesn’t change or alter himself to fit into different circumstances. When he goes out to be a “superhero”, he just wears black fatigues (although he doesn’t need much more than that, lbr). 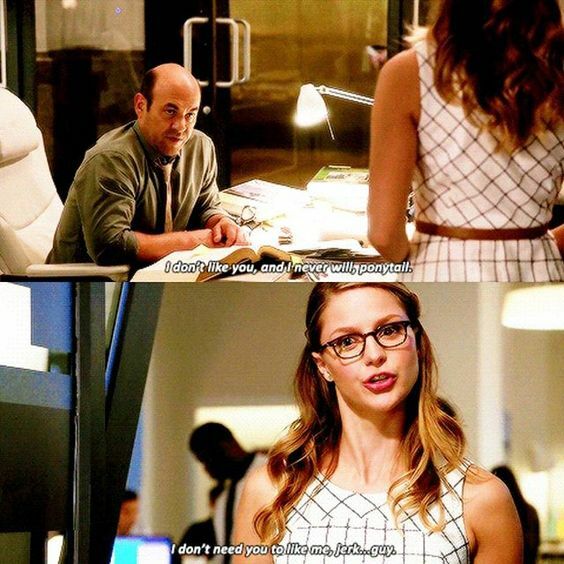 He doesn’t quite get the stakes the way Kara does. But in the end, I don’t think he cares about how Earthlings see him—and I mean that in a good way. Kara, on the other hand, chooses to balance multiple roles, and accordingly has to wear a different identity in each one. Last fall at Salt Lake Comic Con, I attended a panel called “Behind the Glasses” where several experts weighed in on the importance of secret identities. Our very own Jake was there, as was my friend James A. Owen who really, really, really loves Superman. I took notes, because that’s how much of an over-achiever I am, but in retrospect I’m glad I did because they came in useful for this article, and these ideas are pretty relevant to the idea of superhumans and secret identities. There is not always an immediate need to rush into danger and save the world–you are going to have some down time. Having a secret identity means creating a space where you do not have to be involved with the ordeals of being a superhero. It’s a way to keep supervillains, stalkers, and the press from your daily routine and from your family and friends. But you can’t always leave your job for superheroics. And you can’t always leave your superheroics to do your day job. Sometimes the people you love can be in more danger from not knowing your secret. If something bad happens and your “persona” is blamed, is it fair for your secret identity to not have to suffer the consequences? The question of superhero identities ties into the human struggle of having different “faces” or versions of ourselves for different settings. Who you are at work might not necessarily be the person you are at home. And neither of those identities are exactly the same as the person you are when you’re doing something you love. James Owen shared a thought from Superman writer Elliot S! Maggin at the“Behind the Glasses” panel: “Clark Kent is who he is. Superman is what he can do.” That’s actually a really deep thought. Maybe the roles of our different personalities aren’t quite as separate, but it’s one way of understanding the different parts a superhero can play through the day. And it’s a way of understanding their limitations in different settings. Let’s look at Kara Danvers. She’s a reporter at CatCo Media who is very outspoken about doing the right thing. As Supergirl, she also has principles that guide what she does as a superhero. That part of her personality—her indomitable sense of right and wrong—is in every part of her. 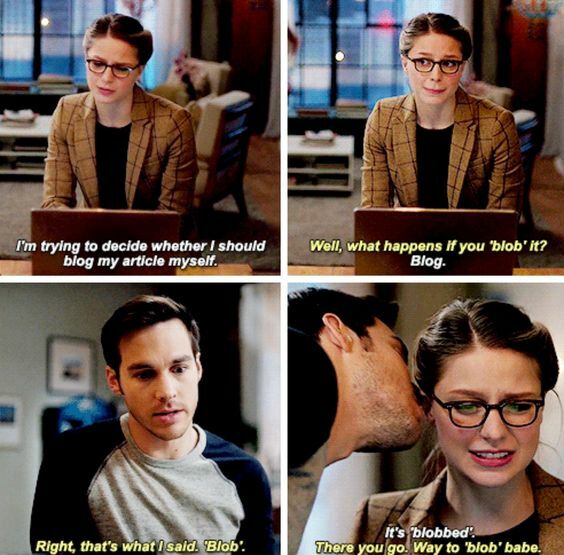 But Kara learns the hard way in Season 2 that there are rules for being a reporter that she can’t just ignore. Supergirl may be able to break some of society’s conventions but Kara can’t without facing consequences. Kara Danvers was once Kara Zor-el of Krypton. A girl from an aristocratic family on another planet. When she first came to Earth, she had to create the persona of Kara Danvers as a way to blend in with earthlings. Kara Danvers, as a rule, doesn’t rescue people from burning buildings, stop robberies and car accidents, and fight rogue aliens and alien-hunters. But Supergirl does. Supergirl is who people on Earth know Kara Zor-el by, byt they know her as a hero instead of a girl from an affluent Kyptonian household. They don’t have that context. Supergirl has authority because she saves the day. If Kara Danvers wants to protest the injustices in society, she can do a write-up for CatCo, provided she has legitimate sources for her boss. Kara Danvers and Supergirl are both kind and known for helping others, but while Supergirl does the big heroic stuff, Kara does the little everyday things for her friends. When she’s at home and relaxing with Alex and Mon-el and friends, Kara is Kara but she talks openly about being Supergirl. She’ll sit on the couch and eat ice cream in her suit if she wants. And she can openly reference her past life on Krypton when she wants to. So there are some spaces where the boundaries of her three identities aren’t as rigid. At one point in season one, Cat Grant—the boss of Kara Danvers and the critic/patron of Supergirl, fully aware that they are both the same—asked her to quit her job and be a superhero full-time because she could help more people that way. Kara begged Cat to let her stay on at CatCo because her normal job gave her a link to a normal life. Having a day job is how you pay the bills when you put the glasses on. Not everyone gets paid to be a superhero. Kara has nothing material to gain from it—or at least Cat doesn’t offer to PAY her to be Supergirl. But Kara doesn’t see herself as someone who can be a superhero full time. It matters to her to still lead a normal life and to be with her family and friends in her down time. And she needed an income to pay for food and a roof over her head when she wasn’t wearing the cape. In Season 2, the premise was supposed to be that she would figure out how to be Kara. Looking back, I think the show approached that issue in some interesting, albeit indirect ways. So who is Kara Danvers? What does Kara stand for, can Kara push the same limits that Supergirl can? Can she work within the lines that society sets? Or is it more important for her to get the truth out because that’s just who she is, as both Kara and Supergirl. It’s really not that tacky for her to follow in Clark Kent’s footsteps: a writer can make a real difference through the ideas they share. 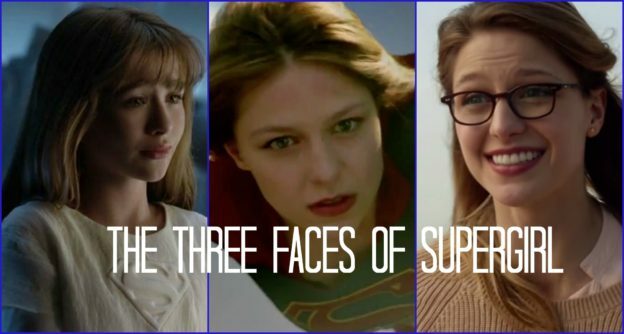 Kara having a love interest has to address all three sides of her. The girl from Krypton has to figure out how to get along with the guy from Daxam. They can put their differences aside and find solace in both being exiles on a strange planet. Does he get along with her Earth family? Most of the time. He can be as outspoken at times as she is. As Supergirl, how does she balance protecting him from her enemies that would endanger him and protecting her city? And does he necessarily need to be a superhero just like her? Can he help her save the day? I think Mon-el was a great addition to the series because he was a good foil for Kara. Supergirl continues to hold a special place in my heart, even after a rough season 2, because she still has to balance a lot of the same issues of family, friends, and identity, albeit in different ways. Kara Zor-el, Kara Danvers, Supergirl—at the end of the day, what ties all three together and make Kara who she is are the virtues of honesty, respect, compassion, and valuing life. She always sees the best in others. In season 1, she did her best to reach out to and rescue her last surviving Kryptonian relatives, and although she failed, she was a better person for having made the effort. And now in season 2, she gave Mon-el the benefit of a doubt when he came to earth and she showed him that being the spoiled prince of Daxam didn’t have to be his legacy. I know from my friends who are Superman fans that that is who Superman is supposed to be, and Tyler Hochelin’s brief appearances this season as Clark really made a good impression on me—but more importantly, Supergirl not only lives up to her cousin’s reputation but she is the kind of person that I want and need to be. Supergirl can continue to be a great show that explores the themes of identity and heroics—as long as we don’t get too caught up in the drama.